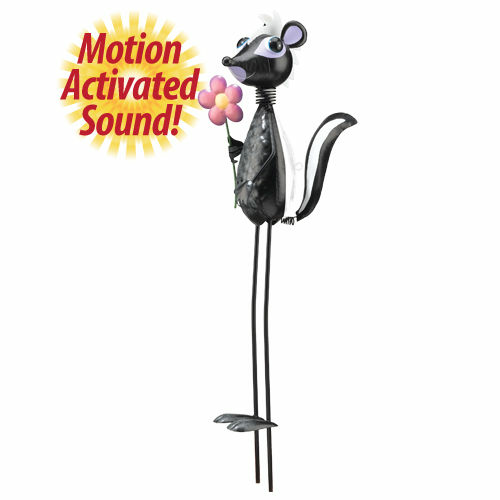 Motion Activated Sound - Each Talking Critter will make it's own unique animal sound whenever someone walks by it. What sound does a skunk make? It's a SPRAYING SOUND!